Medical weight loss is not about painful surgeries or popping diet tablets. It is a scientifically proven weight management program based on targeting the actual cause of weight gain. 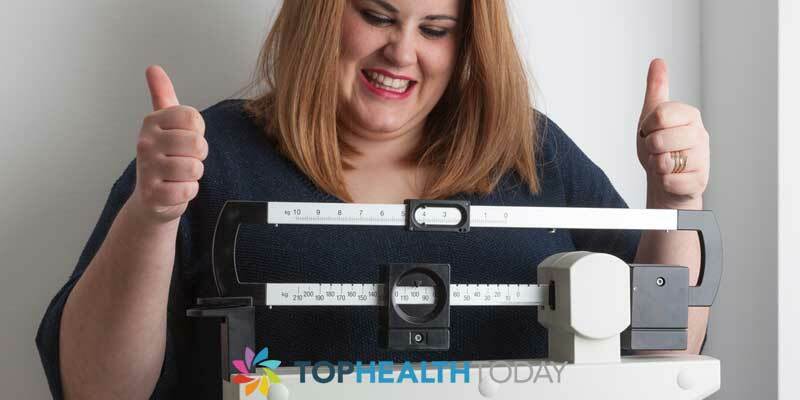 Weight gain or obesity is of late considered as a serious threat. It is said to increase the risk of many medical conditions like heart diseases, cancer, blood pressure irregularities, diabetes and metabolic disorders. Medical weight loss is an option where medication is used to help lose excess weight along with lifestyle changes. Understand the actual reason for weight gain. Questions you about any medical conditions; allergies or side effects of any medication. Then after a detailed analysis they take a call on your eligibility for the program. They design a customized regime, along with intake of a few medications like. Hormone Therapy: As your diet will be based on low calories, it will help protect your muscle strength and help reset your metabolism rate. Vitamin Injections: It will take care of the body's nutrient intake and boost energy levels. Appetite Suppressants: Prescribed to suppress food cravings and control food intake. Medication such as appetite suppressants and metabolism booster helps to control intake of food. Nutritionist approved diet plan to help monitor intake of all nutrients and supplements required by our body on a daily basis. The diet plan is customized based on calorie requirement as per age, height and weight. Encouraging lifestyle changes like healthy eating habits and exercise routine that helps to keep our body fit for the long run. One-to-One counselling to monitor weight loss and make changes in routine, if needed. Side effects or allergies caused by the medications prescribed like hair loss, menstrual irregularities, Gallstone formation, etc. It definitely requires you to be patient as it is a long term pledge. It could prove expensive and may not be covered by all health insurance companies. The option for food intake is very limited. Sudden decrease in calorie intake may cause fatigue, acidity and nausea. Sometimes the side effects can also be aesthetic based like skin sagging around arms, stomach and legs. It is true that you cannot rule out the side effects caused by the medications prescribed. It is also true that weight-loss drugs don't replace the need to make healthy changes in your eating habits and activity level. However, some find it impossible to bring their weight under control; and do not have the knowledge to sketch out a well balanced diet. Here medical weight loss programs can definitely help. 5 – 10% reduction in weight can definitely help overcome the threat of being prone to diabetes, heart attack and other ailments. Does The Sun Make You Age? To remain fit, it is essential to adopt the right diet. The problem with most of the fitness programs and diet plans is that they focus more on counting the calories. But counting your calories isn’t the right way to measure your intake. The perfect diet is one that has all essential macro-nutrients. An ideal diet plan that can help you succeed in your fitness regime is one that counts the macro-nutrients. The 5 main nutrients you must be aware of are the proteins, fats, carbohydrates, minerals, and vitamins. Of these, proteins, fats, and carbohydrates are the macro-nutrients. Vitamins and minerals are the micro-nutrients. The human body needs all of them in different proportions for various purposes. Macro-nutrients are those that you need in higher quantities. You would need comparatively lower proportions of micro-nutrients but they too play crucial roles. To understand why your body needs macronutrients, it is important to understand the role played by proteins, fats and carbohydrates in your body. A majority of the human body is composed of proteins. Proteins are critical in the Proteins are made up of a variety of amino acids. Among the variety of amino acids, the body needs, 9 are to be obtained from the diet. These are not synthesized in the human body. Ideally, in your daily food, proteins should constitute 10%-35% of the calories consumed. This is the USDA recommendation. Milk, legumes, nuts, meat, fish, poultry, cheese, starchy vegetables. Not all fats are bad. The body needs a healthy amount of good fat. 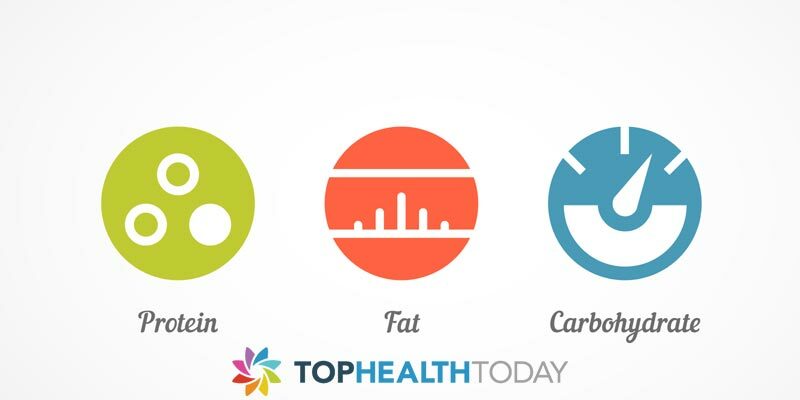 In fact, eating the right amount of good fat can help you lose weight. Around 20% of your calorie intake should consist of fats. To stay healthy, include good amounts of unsaturated fats and essential fatty acids. Only saturated fats and trans-fats are the bad fats to be reduced. These can increase the heart ailments risks in the body. Essential fatty acids-tuna, salmon, sardines, ground flaxseed, canola oil, walnuts, sunflower seeds, soybean oil. Though we discuss this last, this is one of the main macro-nutrients. They are the main sources of energy. Carbohydrates are made of sugars that the body breaks down and releases glucose. This enters the bloodstream and enters the heart, brain and the central nervous system where the glucose is broken down. This breaking down of glucose releases the energy required by the body. Your daily calorie intake should be composed of 45%- 65% of carbohydrates to keep you energetic and healthy. Whole grains, fruits, beans, vegetables, nuts. They are essential for the normal functioning of the central nervous system. If you wish to maintain a healthy weight, concentrate on consuming enough amounts of macro-nutrients. Measuring the macro-nutrients instead of the calories is the right way to monitor and alter your diet. Can Chronic Fatigue Affect Your Mood? Eat fruits and veggies: Fruits and veggies are your best friend when you are trying to lose weight. They contain good fiber that helps to clean out your intensities and keep your body flowing regularly. Additionally they contain nutrients and antioxidants that help to protect your body from illness and disease. If you are having trouble getting in your daily amount of fruits and veggies you may want to consider juicing your veggies. My favorite recipe calls for ginger, kale and pineapple and it’s the first thing I drink when I wake up in the morning. Fruits such as watermelon, oranges, grapefruits are great for weight loss due to their high water content. Veggies such as celery and cucumbers are also great because they are high in content and have healthy fiber and nutrients that your body needs. IF you are serious about getting that apple body shape, stop but the supermarket and pick these up today. Drink lots of water: The average person should drink at least 8 glasses of water a day; however with a hectic day it’s easy to overlook this. However water is an important part of weight loss because it helps to flush our body of toxins and also rehydrates of skin and blood. The next time you sit to have a meal consider drinking a full liter of water before you eat your food. It helps to reduce your appetite and keeps you energized throughout the day instead of a sugary or sweet drink. There are many different way you can change up your water so it doesn’t get boring. Personally I like to add a squeeze of lemon juice or even a cap full of apple cider vinegar. On some occasions I also cut orange or lemon slices into the water so it has a fruity taste, which makes it much easier to drink. Whatever you do, start drinking enough water today and you’ll be surprised at how much it helps you to get rid of that stubborn belly fat. Exercise Daily: Get in the habit of exercising daily. Whether that means going for a walk in the evenings of doing a light swim in the morning. Find 15 minutes in your day to schedule some time to exercise. Getting your heart rate up and sweating for a little every day helps to keep your cardiovascular system strong and healthy. Living a sedentary lifestyle over many years can cause you to pack on pounds without you even realizing. If you can try to include some resistance training such as pushups, burpees or squats. These help to target multiple muscle groups while also burning a large amount of calories. The trick to losing weight is to burn more calories than you consume. The perfect way to get a head start on burning calories is to start sweating them out! Finding the time to exercise can often be difficult in a hectic work day. When you get home the last thing you want to think about is to exercise. If you are serious about getting that apple shape then it’s time to start taking a serious look at your exercise habits. Find a sport that you enjoy doing or join a group activity like baseball or tennis. Whatever you do, look for ways to keep active and staying shape. After a while you won’t even notice that you’re exercising and the weight will just slip right off. However like everything in life the hardest part is just getting started!